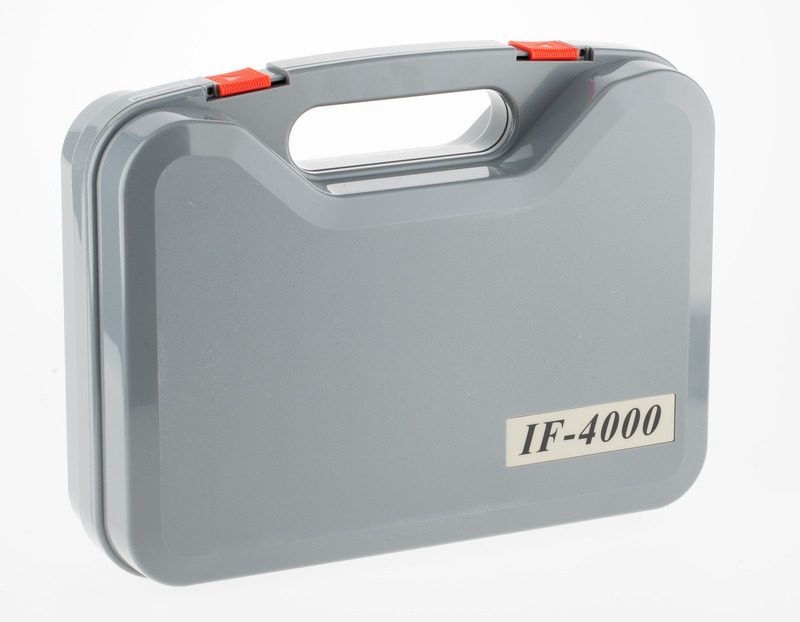 Package Includes: Device, batteries, charger, lead wires, 1 pack of 4 electrodes, carrying case and users manual. Channels: either one or two channel selection. 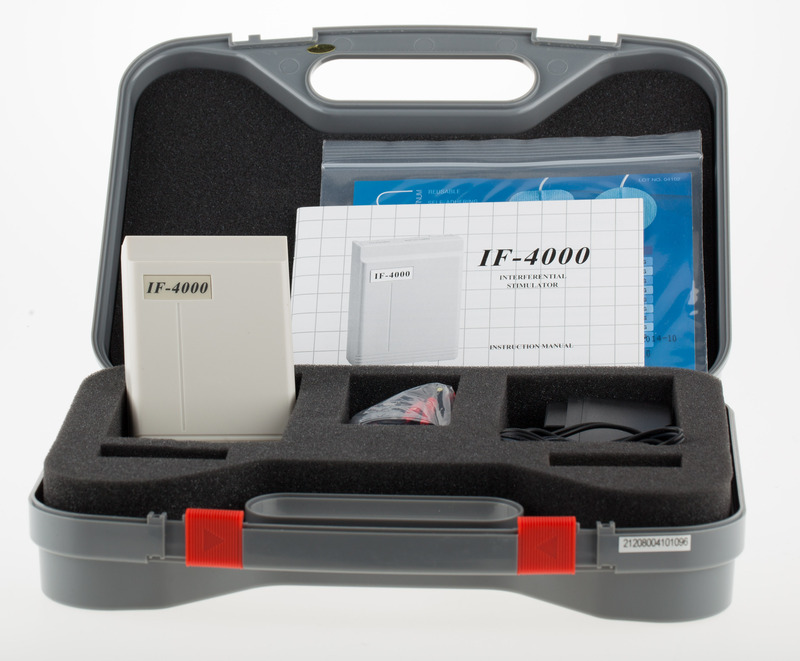 Output: 0-16 volts (through 500 ohms). Wave Form: Asymmetric biphasic square pulse. Low battery: Lower Battery Indication. 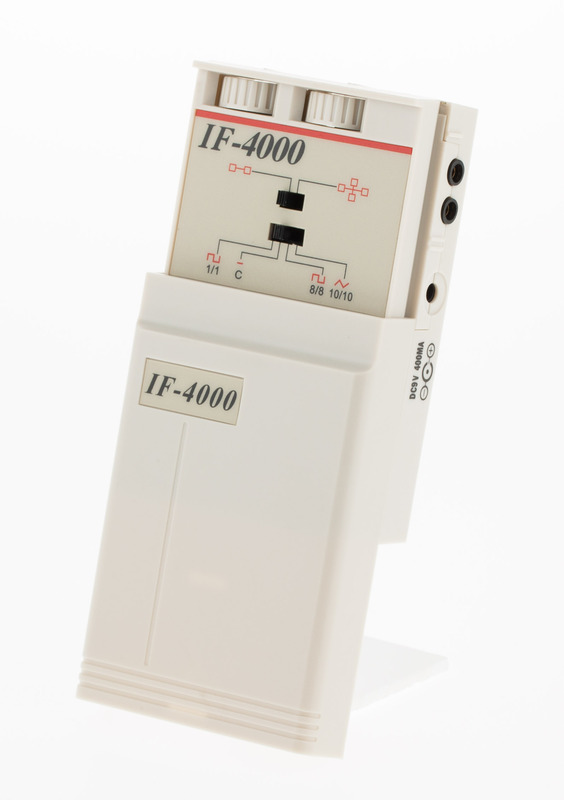 Interferential current therapy (IFC): The IF 4000 Interferential is an analogue interferential stimulation device that is used for symptomatic relief and management of post surgical, post turmatic acute, and chronic pain. 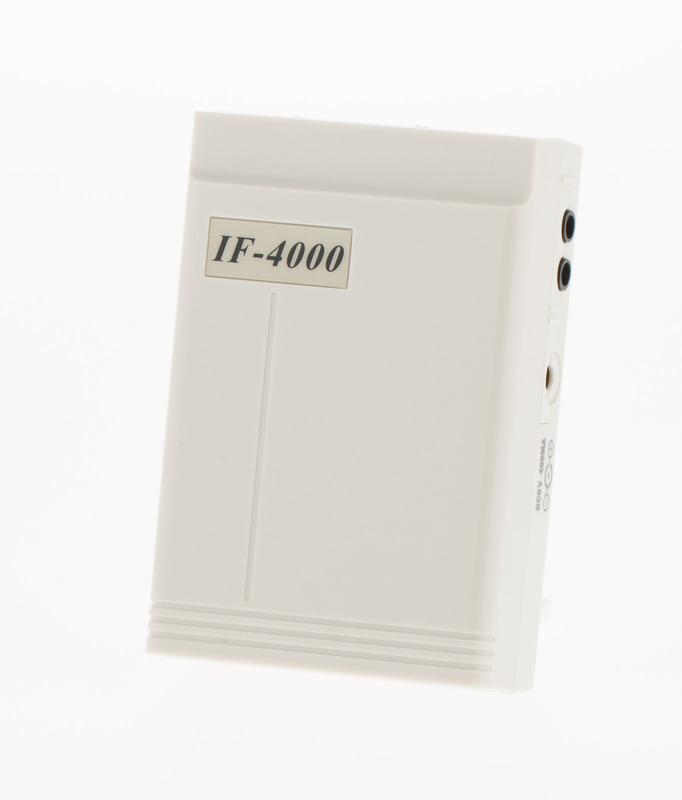 The IFC 4000 is able to change its amplitude,wave lenght, and stimultion mode. Amplitude: 0 to 16mA each channel. :Stimulation Mode: 1. Continuous, 1/1 abrupt 2. 6/6 ramped and 6/6 abrupt. 3. 10/10 ramped and 10/10 abrupt.